We're Live From Tokyo Auto Salon 2016! 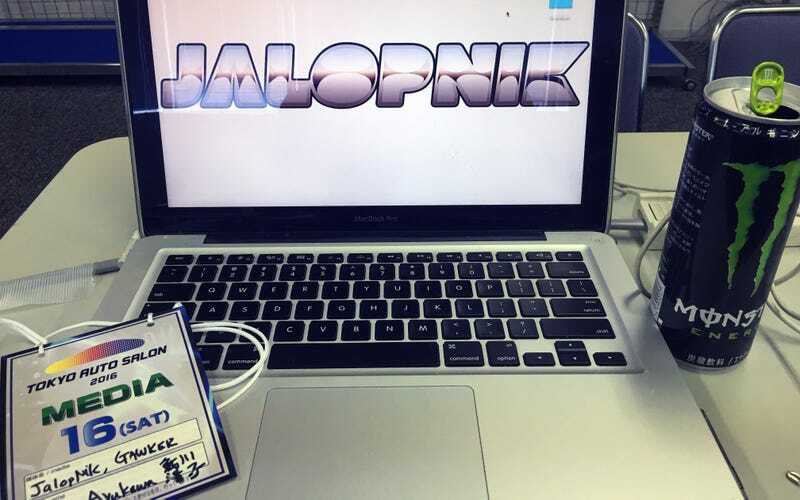 Fresh off Detroit, Jalopnik is in the Land of the Rising Sun following all the concept cars, modifications, new releases, and aftermarket vendors you know and love at Tokyo Auto Salon 2016! Here’s a small preview of what we’ll have for you this weekend. With eleven, YES, one one, halls of dealer and aftermarket goodness, and nearly 36 hours of total show time, it took nearly an hour to just grab shots of a mere three of the halls! In addition to all the Japanese brands, Volkwagen is also in attendance, as is, of course, Audi. BMW also has a strong showing. No U.S. automakers seen on any of the materials so far, but maybe that’s not too surprising? And if you get tired from all this walking around? SIT IN ALL OF THE RCAROS! Here’s a small sampling of the vehicles on display, several of which will receive their own This Is It style posts.